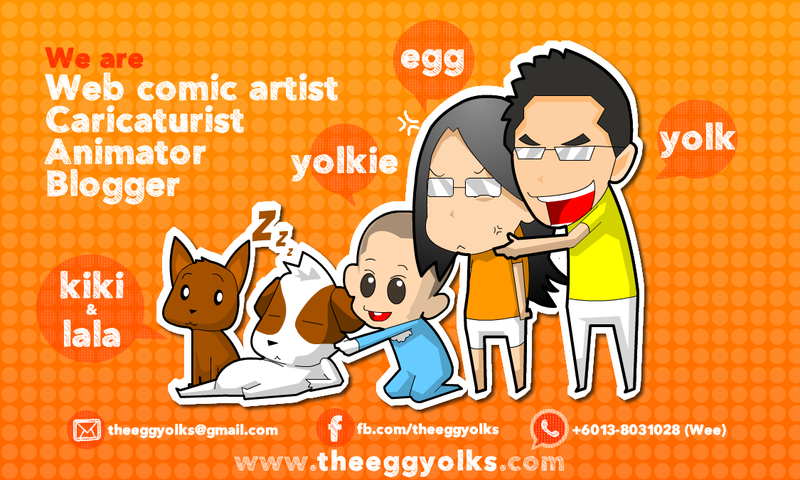 THEEGGYOLKS 蛋黃打点滴: Speak Up Malaysia! 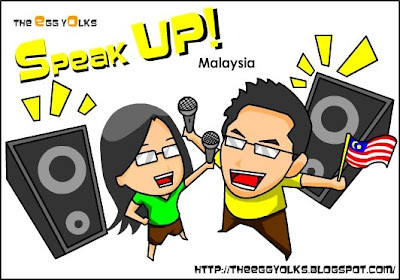 Digi & Nuffnang are organizing the Speak Up Malaysia contest. 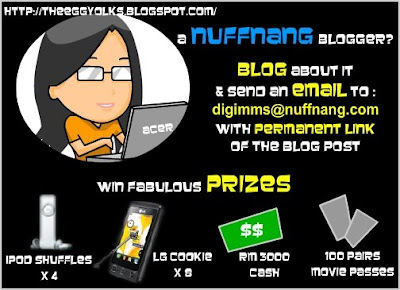 You can be awarded with attracting prizes by contributing your thoughts on how to improve Malaysia and hope for that change. So people! 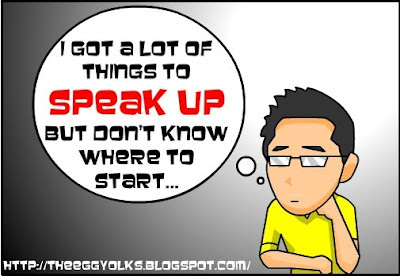 Speak up and let our voices be heard! We have the power to change! 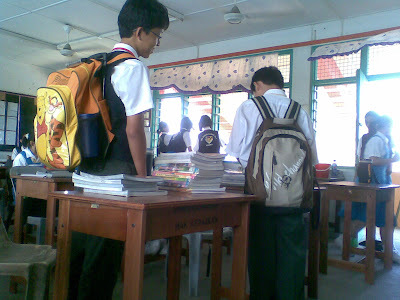 When I was young, I really hate my school bag. Why? It was just too heavy! I had been carrying tones of books to school and vice versa. Isn’t that troublesome? I believe you were once a student or even you’re still a student and you sure have the same experience! Even though I no longer need to carry those bags but I still see a lot of children are carrying them. It’s really pity to see those students having those overloaded bags. Books are good in a sense but overloaded books can cause serious health problems especially to those growing children. Can we lighten their burden? Yes, we can. In this sophisticated era, we can compile all the education material and information into software for our fellow students. Therefore, the only thing that students have to bring to school is laptops instead of heavy bags. 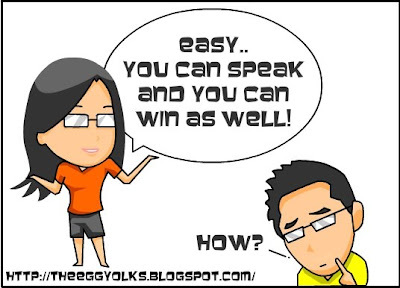 It is an effective method either in teaching or learning. 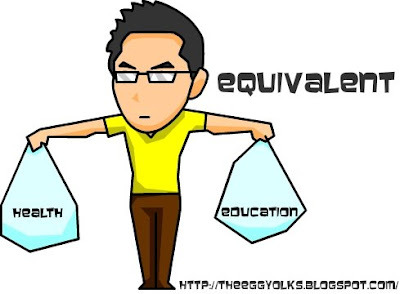 Both health and educations are equally important. As a Chinese proverb goes, shooting two birds with one stone. In fact, the Terengganu state government had started this project in 2008. 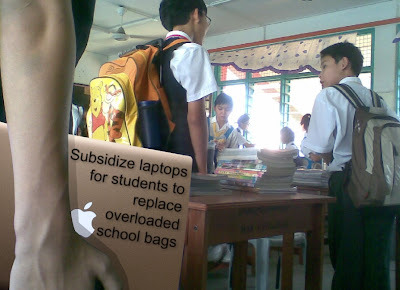 Soon enough, all students in Terengganu will have laptop to replace their thick, heavy textbook. I hope the overloaded heavy school bags can be replaced by laptops all around the states very soon.